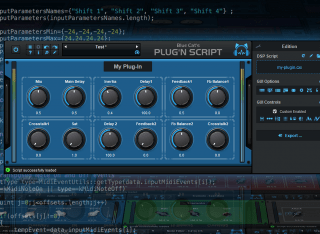 You will find here some custom presets to use with the Blue Cat's Plug'n Script product. Description: This script will act like a talkback Control based on the Transport in the host application. If it is in play, the talkback will close. If transport is stopped, it will be open.